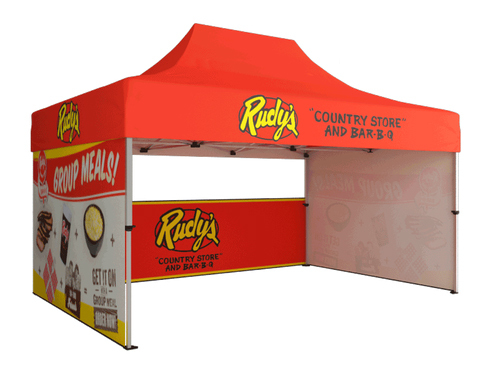 Looking for the perfect way to attract more attention to your booth from every angle? The Tapered Triangle Hanging Sign can add a new degree of influence at your next tradeshow. This hanging sign is printed on fabric and comes equipped with a canvas carrying case for easy transport. Visible throughout the entire show-floor, this hanging sign is sure to capture the attention you deserve. Choose from 10' and 16' models.